A series of sidesplitting adventures from the iconic American writer. Originally published over one hundred years ago, Roughing It tells the (almost) true story of Mark Twain’s rollicking adventures across the United States. A hilarious account of how the author tried finding wealth in the rocks of Nevada, it was published before his most famous works and shows why he would grow to become one of the most beloved American writers of all time. The story follows many of Twain’s early adventures, including a visit to Salt Lake City, gold and silver prospecting, real estate speculation, a journey to the Kingdom of Hawaii, and his beginnings as a writer. Through his attempts to strike it rich, he meets a motley crew of colorful people, while weaving through humorous mishaps and standing through it all with the endearingly good humor for which he’s famous. 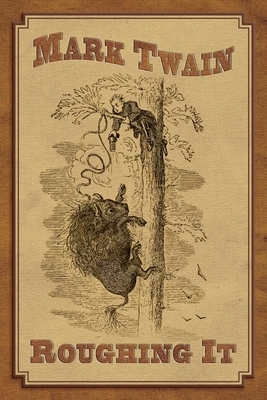 The memoir showcases Twain’s razor-sharp wit (as well as a healthy imagination), which would later become his trademark style in The Adventures of Huckleberry Finn, The Adventures of Tom Sawyer, and A Connecticut Yankee in King Arthur’s Court. From stagecoach travel to the etiquette of gold hunting, Roughing It makes a classic addition to your Mark Twain library and is a perfect example of how funny the world can be when you’re traveling with the right person.